Do you know that the majority of sick leaves in an office environment is caused by dirty equipment? Germs, bacteria and allergens can reside on various types of office hardware. A lot of people share a phone and even a computer, and all this makes it easy for the pollutants to spread out. Now it’s time to take a more serious approach to your office cleaning. You will not only provide a safer work environment for your employees, but will also boost their happiness and productivity. 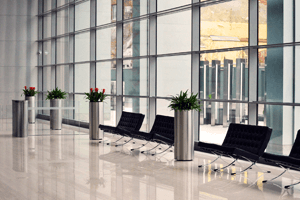 For other commercial properties, such as restaurants, shops and hotels, it’s also mandatory to maintain spotless and dust-free premises. You have to meet all safety regulations set by law. Take advantage of this contract cleaning service to ensure a safe and welcoming environment for your customers. By doing so, you benefit from retaining your current clients and attracting new ones. Don’t take any risks with your business and work with our skilled cleaners in Wigan to maintain a pristine commercial property. Don’t disrupt your daily work schedule and get your commercial cleaning done before working hours, after the end of the last shift, or in the weekends at no extra cost.